On the day I was born, the only thing guaranteed to me was that I would die. The realization of this guarantee has been a journey I have rarely avoided and often sought out. When I was in college, I was drawn to and took an elective course titled Death and Dying which worried my father a whole lot. I have always been fascinated, curious, confused, and overwhelmed by truths I have learned on this journey. I seek to understand death in the hopes of understanding life. I believe this is a journey we are all on throughout our lifetimes. Lately, I have, once again, found myself in a phase of grappling with death. It seems like I’ve been surrounded by people who have said goodbye or are in the process of saying goodbye to loved ones. A dear friend recently said goodbye to her father, a wonderful colleague and beloved grandmother to a seven year-old retired back in May then died unexpectedly a few weeks ago, a co-worker has been caring for her mother who is aging and coming to the end of her life, an uncle I admired passed away a month ago, a dear friend had a miscarriage. It seems that death, when it finally comes, shows up for those who are living even brighter. I find my mind wandering into the minds and hearts of those who lost their loved ones and also to those who left their bodies. This is something I believe wholeheartedly – we are IN our bodies here, but our bodies are simply temporary places for the truth of who we are. The real part of us is our spirit. And I believe, when we die, our spirits simply join the Great Spirit, God, I Am, Love. With death on my mind, writing about it feels like the only way to get through my thoughts and to make sense of them. But the truth is that even as I type this post, I feel a nagging fear and desire to get up and leave my keyboard along with all the thoughts of death running around in my head. I want to keep death at a safe distance. I don’t want to consider my mortality nor than of anyone I love or even the mortality of the ones they love. I don’t want this to be any kind of preparation for any kind of upcoming experiences. And yet, I know my entire life is about death – the one thing guaranteed for me. I’m only ever going to live my best life if I come to terms with the truth of my death. I am temporarily here and so is everyone, EVERYONE I know. If you’re considering clicking away from this morbid post, I don’t blame you nor do I judge you. Click away and then come back when you’re ready. You’re on this journey of life, too, which means that you’re also on this journey of discovering death. Hold my hand as I delve into the darkness of death in search of some light. My first encounter with death, close up, was when I was a teenager and a little, adorable 3 year-old boy drowned under a bridge at a park with several families out at a picnic. I was with him before we left for the park and he was very sure he did not want to go. It seemed unusual for a 3 year-old not to want to go to a park but I chatted with him and convinced him he would have fun and he eventually let me put on his socks and shoes to go. When they found his body and took him to the hospital, his little denim jacket ended up at our house somehow and I always felt his presence when I was near it. He had to have known his time in that little body was about to be over. Even his little spirit had to have known. And even if there was a piece of him that also knew he would be okay, I’m sure he felt the sadness that comes with letting go and I’m guessing he was trying to cling on just a bit longer. I wish I had known to just listen and be with him and allow him to feel whatever he was feeling. There is a sacredness in knowing about things that are not of this earth. I wish I had known to honor that sacred space he had been in. Another close encounter with death came as a gift in a message my dear friend, Mercy, sent me. I was in graduate school, living in my townhouse. I had recently been to visit my family in Zambia and had been able to visit Mercy. Mercy was a friend I’d had since 7th grade. She was one of those very special friends that, no matter how much time passed between visits or contact, it always felt the same to be with her – the silliness, the looks, the understanding, the love and the deep, deep connection that is offered to only just a few friendships. She was that kind of friend in my life. One of my soul mates without a doubt. It happened through the course of a few days in my townhouse where I’d pass by my guest room and notice that my clock had stopped at 3 AM. I fixed the time on the digital, plugged in clock and went on my way. The next day, I noticed it had stopped again at 3 AM. A little puzzled, I fixed it and carried on. Then it happened again the next day and I knew something was up. I got an email that night from Mercy’s brother informing me that she had died and her time of death was 3 AM. I felt so honored that she had come to let me know of her passing from this life. I felt comforted by her gift of letting me know that her spirit was with me. I guess that experience took away the fear I had of dying because I realized that death was inevitable but certainly not the end. It’s sad for us who are left behind, but when we go, we are simply continuing on a journey in a different realm. I don’t know much of what there is to know about death, I do know that I must live here in this realm fully. There is a Divine purpose for every moment that I am here and for every encounter and experience I have. I saw an IMAX movie on a field trip with my David’s schoolmates called The Hidden Universe and I was fascinated all over again at just how VAST the universe is!!! 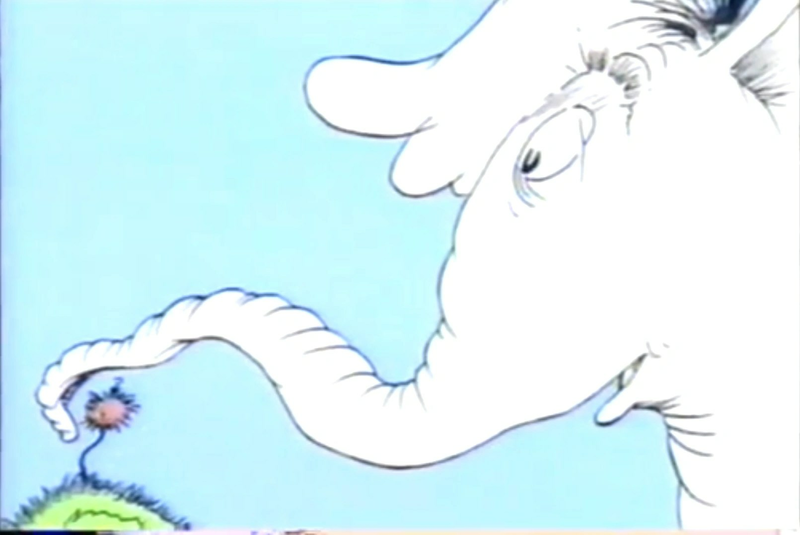 It reminded me that we are specks like the Whos in Whoville that Horton heard (Dr. Seuss fans out there?). Our dreams matter. The people in our lives matter. Our wishes matter. The truth of who we are matters and we must seek it and live it everyday in every moment. The moments matter. If you are in the process of letting go of someone you love or in the process of letting go of this life or if you have let go of someone you love, my wish for you is peace in knowing that it’s all temporary – this life and the separation is all temporary. The spirits of those who leave are always with us. It’s not enough, but it is temporary. 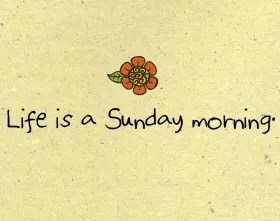 Or not.I’m a little conflicted about who and how I am on Sunday mornings. Seems like for the past several weeks I’ve been waking up very early (for a Sunday morning), throwing on WORKOUT clothes, and heading to Stone Mountain for a 2 or 5.6 mile walk with a friend. The invigorating walk then leads me to energetically prepare a great Sunday breakfast for the family and we enjoy those Facebook-status-worthy family moments in which Brian and I proudly notice what we have created and I feel a hint of Bridget Jones’ smug marriedness and ignore it for a bit while savoring the smugness of it all. Then. THEN I look up at the time and realize there are not enough minutes left for me to get myself showered and all of us dressed in time to make it to our Sunday Morning Place – still not sure if I attend a church or center or what. Inevitably, a very unSunday side of me rears its very ugly head and I hear myself speaking in loud crazed-mama tones at my kids while they appear to be indifferent or, possibly just exercising their right to selective hearing, which OF COURSE takes me to a really crazy crazed-mama tone. The rant lasts for approximately all of the 21 minutes until we are in the car and pulling out of the garage. Then I realize once again, as in EVERY WEEK, that none of the last 21 minutes is in line with ANY of the spiritual teaching and learning that I believe in. I also consider that since I have sunk so low, whatever I would get out of the Sunday talk would only serve to bring me back to where I was prior to the 21 minutes of crazy. The truth, I realize is that those 21 minutes were my opportunity to practice spiritual integrity and I just failed it all the way. Not even a D+ but an F. Failed. And the Sunday talk just brings me full circle to where I was at the end of last week’s talk. That’s a truth of who I am. I lose it on Sunday mornings at the worst possible time of day – right before I enter into spiritual restoration. I then spend the entire drive to my Sunday Morning Place apologizing for my response to their indifference/selective hearing and trying to problem-solve with them. I’m sorry I got so angry but I wish you had responded to my calm and loving requests. I was wrong to yell at you and get so impatient, but can you think of what you could also have done better to help the family? Clearly Mommy needs to take care of herself better to be more patient. I’m sorry. I’m sure I made you feel so bad when I yelled at you and rushed you to take a shower and get dressed so quickly. I’ll do better next time. I love you two so much. I know, I know, there are so many ways to parent and many of them go out the window when guilt is laid out on the table. Right after a crazed-mama episode is not my best time for remembering some of those great parenting tips. At that point I’m just confused and guilty and frustrated that I have still not figured out how to get the zen parenting right and my mind is, instead, extremely puzzled at the way in which an adorable five year-old and a delicious seven year-old could possible evoke such a reaction out of me. I mean – I KNOW, and many Facebook friends and also family members tell me, that these two kids are quite special. They are. Oh how clearly I know of their specialness! They are the heartbeat of my little world. And they are also two very important teachers in my life. Hallelujah, for this I give You praise. As she sang the words in a voice that touched the inside of my heart, I closed my eyes and pictured the times in my life when I cried because of a broken heart or stayed up nights worrying about the outcome of a situation or questioned a painful response or struggled to forgive an act of disloyalty or prayed in anguish out of hopelessness, or wept at the loss of a loved one or sank into regret over something I could never redo. I realized that all those mountains I had to climb were gifts. They were blessings, and had I not accepted them, I would not have become this person that I am today. I got better at seeing myself as a human spirit and I got better at seeing others’ beautiful Divine selves through all of their hard stuff. I felt pure joy in the realization that mountains are gifts and it has to become my practice to say “thank you” whenever I am offered mountains, valleys, sandy beaches or smooth-sailing rivers. This journey is my life and my spirit is constantly moving to higher ground. I am moving to higher ground. EVEN when there are only 21 minutes left to get us all dressed and in the car. Even when I am in my state of unSunday morning and not-so-easy, I’m still on my journey and I have a choice in every moment. The truth is I am not writing this post believing that I will always choose joy and thankfulness from here on out (who would I be kidding?! ), but I am writing this post knowing that I do have a choice and whatever I choose still manages to take me higher if I just show up and acknowledge the gift at some point. I may not be easy like Sunday morning, but I could choose to spend the rest of the day restoring my spirit and finding joy and gratitude in the gifts I have been given. And, hopefully, I will begin my work week with a mindful Monday rather than a manic Monday. Go ahead click on the link and listen and enjoy – you know you want to.